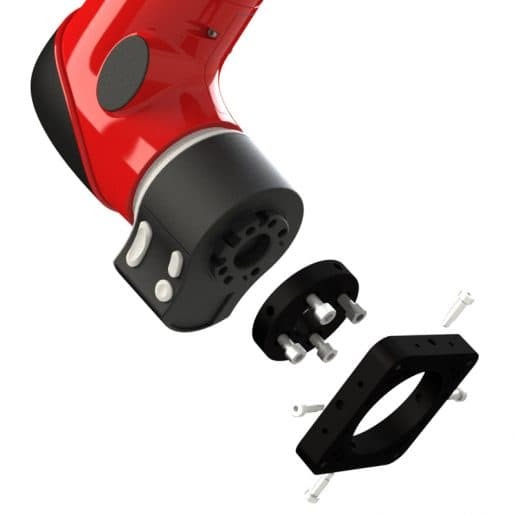 The Active Parallel Gripper is a cost-effective and flexible gripping solution for a variety of objects and features linked jaws, a high gripping force and flexible jaw pad positioning. The gripper is pneumatic and may be operated with regulated low-pressure air supply for collaborative applications. 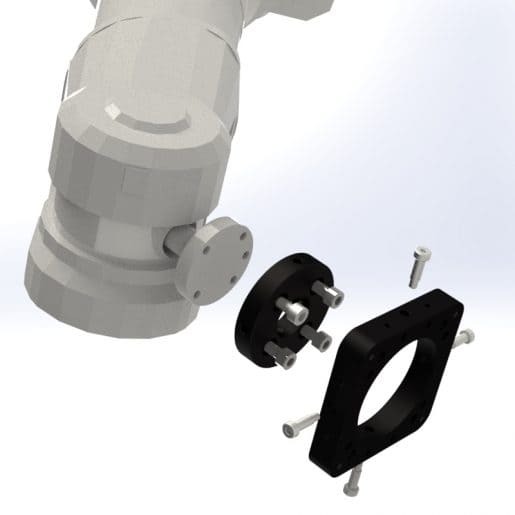 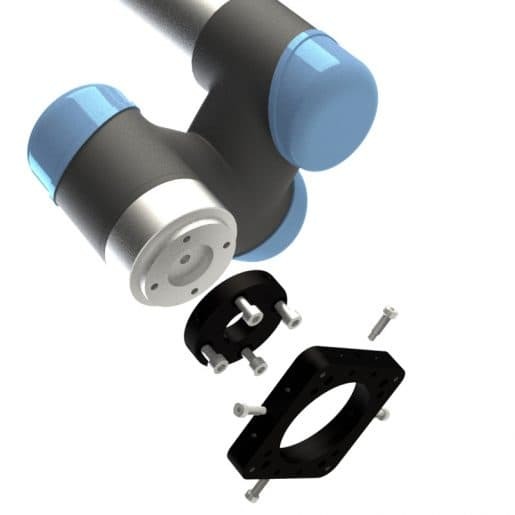 Includes mounting adapters for Rethink Robotics’ Sawyer; Kuka LBR Iiwa; Universal Robots UR3, UR5 & UR10; ABB and other Industrial Robots implementing ISO 9409-1-40-4-M6 or ISO 9409-1-50-4-M6 tool flanges.